"This is a recipe I came up with by combining two of my favorite recipes into one awesome recipe. 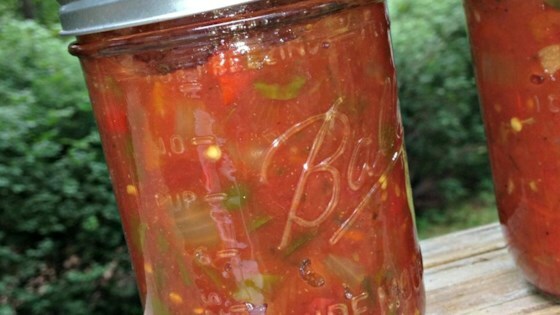 You can make this salsa as hot as you want by adding more peppers." omg, this is the best salsa i have tasted.husband said it was very good but to sweet. everybody loves it. will not change a thing. it a 10 or more.